Create your own candy bar using real factory equipment and experience a free Chocolate Making Tour. Hershey’s Chocolate World Attraction offers visitors a unique, behind the scenes look at how the famous chocolate is made. The sights, sounds, smells and taste of the chocolate making process come alive here! The Hershey Story the Museum on Chocolate Avenue tells the incredible story of how did Milton Hershey went from bankruptcy to brilliance. Experience a hands-on Chocolate Lab class and sample warm drinking chocolate. 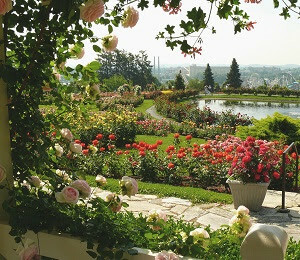 Hershey Gardens is now 23 acres of breathtaking botanical beauty. The Children’s Garden and Butterfly House compliment this scenic destination. The Spa at Hotel Hershey is a getaway to be remembered. Visitors can literally immerse themselves in a chocolate bath, or choose from an extensive selection of other specialty or traditional services. 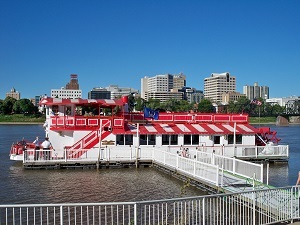 The Pride of the Susquehanna Riverboat offers public sightseeing cruises along the Susquehanna River, plus themed evening cruises for families, groups and couples. The Pride is one of the last remaining authentic stern-driven paddle wheel vessels in the country. 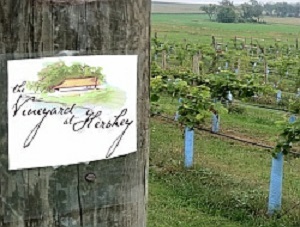 Hershey Harrisburg Wine Country is as much about the experience as it is the wine. The winery families invite you to learn about the process of a beautifully made wine, and of course to taste a variety of blends to please any palate. Breathtaking views await you at 15 award-winning wineries situated in the heart of Central Pennsylvania’s beautiful rolling hills. Signature Wine Events in May June September and October; a series of entertainment and education experiences. Food pairings and special sessions with the winemakers. Craft Beer Country ten local craft breweries are committed to producing and showcasing the finest handcrafted beer in Pennsylvania. 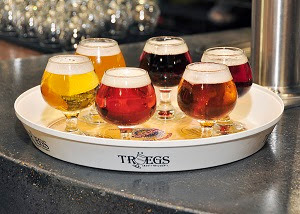 Get a glimpse of the brewing process and experience the dedication and artwork involved with creating these fine beverages. The Pennsylvania National Fire Museum is located in in an 1899 Victorian Fire House in Harrisburg’s revitalized Midtown. Run by a group of dedicated volunteers it features displays from the Hand and Horse-drawn era to motorized apparatus from 1911 through 1947. 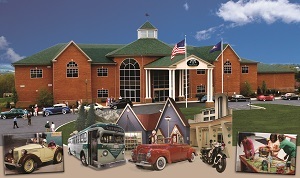 The Antique Automobile Club of America Museum boasts an ever-changing display of famed cars, trucks, buses and motorcycles from the 1890s to 1980s. See the rarest vehicles and familiar wheels from movies like the bus used in Forrest Gump. The Harrisburg Symphony Orchestra offers inspiring symphonic performances and educational programs for audiences of all ages. See these amazing musicians in concert at their home in the stunning, newly renovated Forum Building in Harrisburg or at various events around the region. The Pennsylvania State Capitol located in the heart of Harrisburg, Teddy Roosevelt called it the “handsomest building” he’d ever seen. 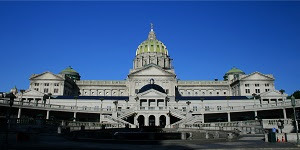 Pennsylvania’s State Capitol is considered is considered priceless, a true Palace of Art.